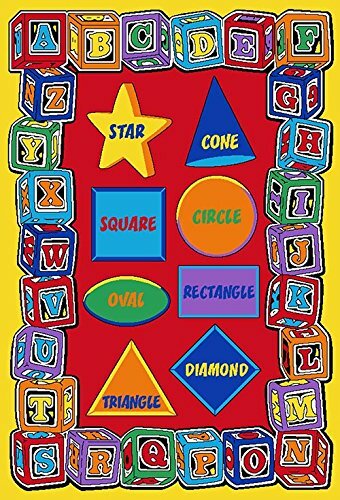 Kids Rug ABC Fun Area Rug 4'11" x 6' 10"
These kids educational rugs and kids puzzle mats are ideal for daycare centers, pre-schools, nursery schools, kindergarten classrooms, childcare centers, children's bedrooms and playrooms. Teach your little one their ABC's with this fun Puzzle Alphabet Rug. Your child will love playing their favorite game on this rug and we think it is Perfect to Create Bright & Vivid Designs, Colors & Details! Made of 100% High Quality Soft Nylon Loop Pile comes equipped with Non-Slip Backing and Thick Cushioned "Gel Backing" For Extra Comfort Whether you're a mom or a dad, a teacher or a daycare worker, our kid's rugs and puzzle mats are the perfect way to add to color to a room and for kids to simply have fun. Stimulate creative playtime and accent your kid's room or make a bold statement in your nursery with a rug from this collection. 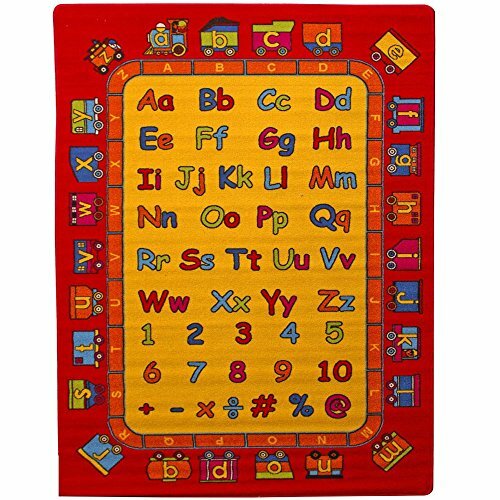 Educational Kids Rug ABC Transportation Area Rug 5 Ft. x 7 Ft.